Depending on where you live, perhaps one of the most challenging parts about growing succulents outdoors is worrying about the cold winter months. Will your succulents survive the cold? What if it’s a particularly rainy winter season? Living in Northern California, we experience drops in temperatures at nightfall especially in winter months. In the winter the temperature can typically go below 40⁰F (5⁰C) during the night. We do experience a few nights of frost but not in extended amounts of time. For others living in colder climates, the temperatures can go way below freezing for several months, not just at nighttime but all day. When I started growing succulents, I worried about my plants surviving the cold nights outdoors. As I learned more about these plants, I realized they do not mind the cold winter nights and do just fine. Our climate here in my area is very dry with plenty of sunlight throughout the day. This is probably why my succulents are just fine outdoors even when the temperature drops. They receive enough warmth and sunlight throughout the day. Succulents and cacti by nature are well adapted to extreme temperatures. In the desert, temperatures fluctuate on a daily basis by as much as 68-77⁰F (20-25⁰C) each day. The extreme maximum temperature ranges from 109-120⁰F (43-49⁰C). Minimum temperatures can sometimes drop to -18⁰C or -0.4⁰F. Having adapted to these extremes, many succulent species will tolerate low nightly temperatures, as long as they are kept dry and receive enough sunlight and warmth during the day. However, when subjected to long periods of low light and consistently low temperatures with added moisture from frost or snow, these same species will not do very well and may not survive these conditions for very long. In climates with long, cold winters and short, cloudy days, the minimum temperature must be increased significantly in order to ensure survival of these plants. What is the optimal temperature for succulents? To answer this question, it helps to know what type of plant you have and its origin. 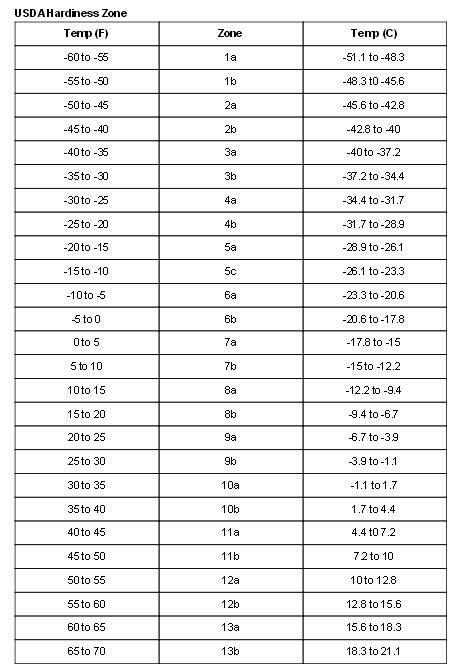 This would help provide you with ideal temperature requirements for your plant. Some succulent species are cold hardy and frost hardy, some will not survive the frost at all. Others do better in full sun and will tolerate extreme heat conditions, whereas others will need protection from the intense heat. 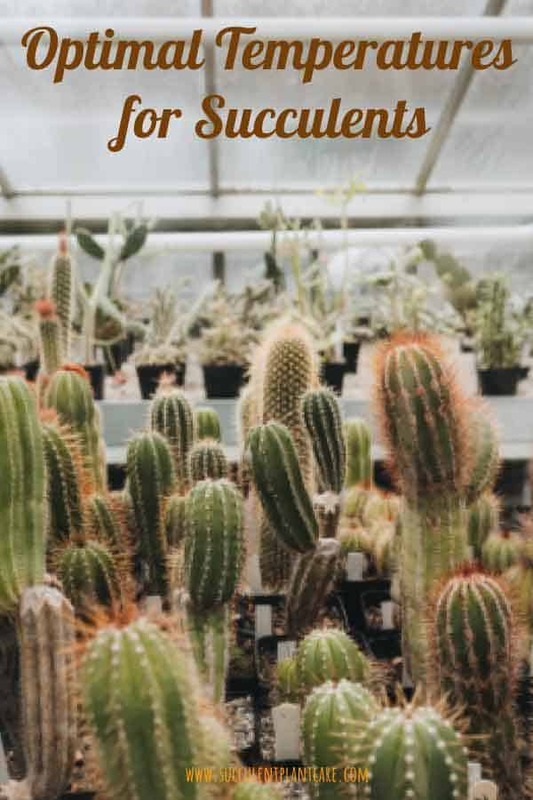 Generally speaking, most succulents and cacti will do very well when kept in temperatures between 45-85⁰F (7-29⁰C). Do succulents do well in cold weather? Can I leave my succulents outside in the winter? Most succulents actually prefer drops in night temperatures and do very well when there is a marked nighttime temperature difference. Drops in night temperatures between 40-45⁰F (4-7⁰C) are acceptable for most succulent species and they will be fine when left outdoors. Succulents favor cooler outdoor nighttime temperatures of 50-55⁰F (10-13⁰C) or indoor night temperatures of at least 60-65⁰F(15-18⁰C). Some plants prefer a nighttime temperature of 35-40⁰F (1.5-4.5⁰C). Marked difference between night and day temperatures is important to the plant’s growth. 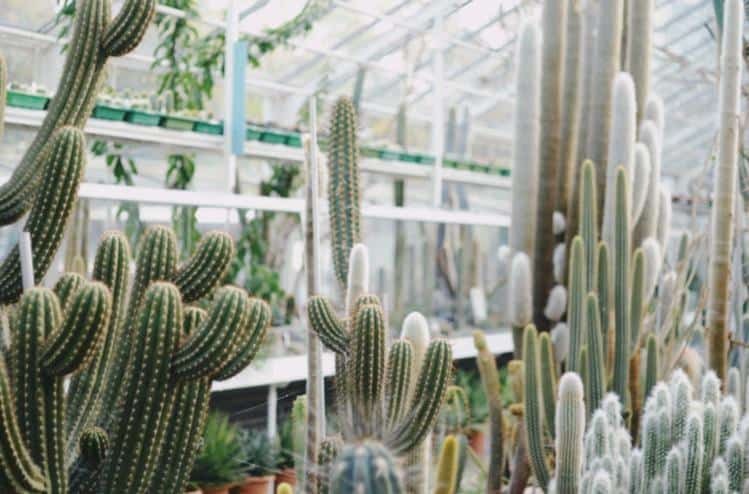 Especially when kept in a controlled environment, succulents prefer a distinct difference between their night and day temperatures to mimic their natural habitat, with the cool night temperatures having an integral part in the plant’s growth. How cold hardy are succulents? What is the lowest temperature for succulents to survive? Cold hardy succulents and frost resistant succulents may do fine outdoors in the winter. However, for non-cold hardy plants, they need to be protected from freezing temperatures or frost. Bring plants in before freezing temperature or frost. Frost occurs when temperatures fall below 32⁰F(0⁰C). You will see ice crystals begin to form on plant leaves, stems, or other parts of the plants. Frost can injure and kill succulents that are not cold hardy and frost resistant. If you are unable to bring the plants inside, they need to be protected from the freezing temperatures either with frost cloths, frost blankets or other similar protective covering. Knowing your hardiness zone will provide you with the most helpful information on how to care for your plants when the temperature starts to drop. Hardiness zones, also known as climate zones or growing zones, were first developed by the United States Department of Agriculture (USDA) as a standard for gardeners and growers to determine which plants are most likely to thrive at a given location based on climate conditions and minimum winter temperatures of the zone. The use of hardiness zones have been adopted by other countries as well. The USDA plant hardiness map divides North America into 13 hardiness zones, with zone 1 being the coldest and zone 13 the warmest. Each zone is 10⁰F warmer or colder in an average winter than the adjacent zone. It helps tremendously to find out what zone your location falls on to be able to figure out best care practices for your plants. It is also important to know your USDA zone in order to better interpret plant information correctly. When you buy a plant from the store or online, it often references the hardiness zone of the plant. It is important to find out if the plant you are buying is suitable for your hardiness zone or not. You can find out your hardiness zone by going to the USDA website http://planthardiness.ars.usda.gov and entering your zip code. The USDA hardiness zone is a very useful tool to use. While it uses extreme winter temperatures, it does not incorporate summer heat levels, or maximum high temperatures into the zone determination. Certain zones with the same winter minimums will be put in the same category without taking summer temperatures into consideration, which may vary greatly from region to region, affecting the overall climate of the region and how plants will thrive in a certain location. An alternative to this is the Sunset Zone Map created by Sunset magazine, which identified 45 distinct zones in the US. The sunset zone map takes into consideration maximum high temperatures, as well as other factors such as latitudes, elevation, microclimates, and precipitation in determining climate zones. With a few exceptions, most succulents need protection from the freezing cold weather. 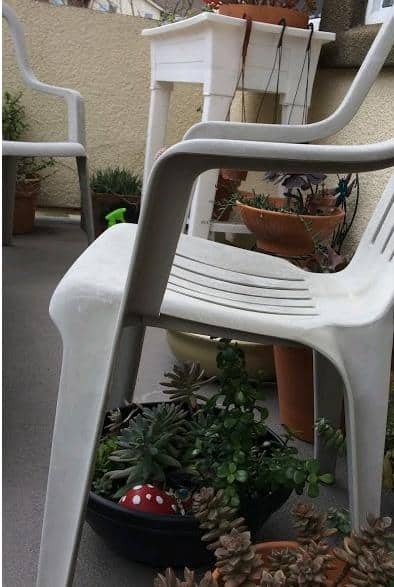 There are ways to protect your outdoor succulents from frost or freezing temperatures if you cannot move or transfer them and have to leave them outside. Be aware that succulents left outdoor in freezing cold temperatures, even with protection, are more susceptible to diseases and even death, especially tender, non cold-hardy succulents. Frost cloths can provide protection from the freezing temperatures for a period of time by trapping the heat in and preventing it from escaping out into the cold air. It also helps prevent cold air from coming in. Frost cloths need to be close to the ground and provide adequate coverage based on the size of your plant for it to be effective. Make sure the cloths are held down by objects such as rocks to keep them from being blown away by the wind. White frost cloths work best because they allow for sunlight to get through the cloths and hit your plants. If you are looking to buy a frost cloth, you can check out our frost cloth resources page. 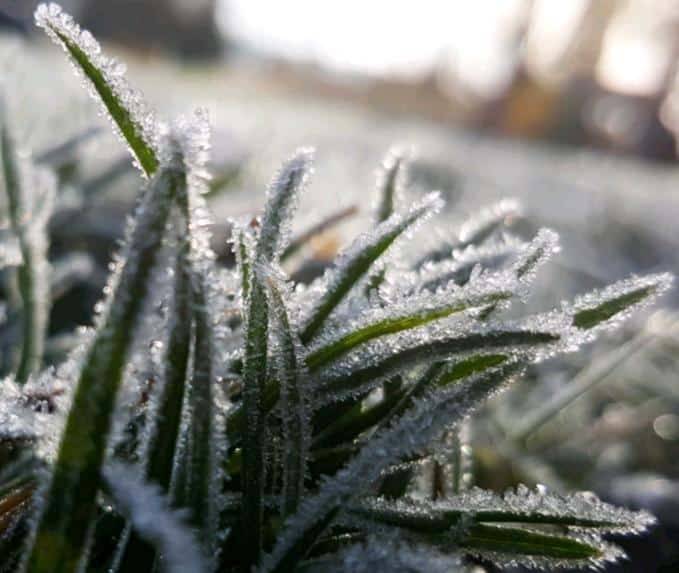 Placing your plants under a chair, a table or other objects during a frost may be enough during a light freeze. As long as you know the temperature will warm up during the day and the plants will get plenty of sunlight, this method might be enough to protect your plants from occasional light freeze or frost. When more extreme weather is predicted, such as freezing temperatures for several days, it might help to use a covering over the furniture such as frost cloths or blankets, or plastic. When using plastic to cover your plants make sure you provide enough space between the plants and the plastic cover, otherwise the plastic can fry your plants under the heat of the sun because the temperature can rise too quickly. If you have an old burlap material laying around, you can use it to cover your plants from frost. You may need to use two layers of burlap if the fabric is thin. Burlap is breathable and allows air to circulate, but also allows cold air to come in. 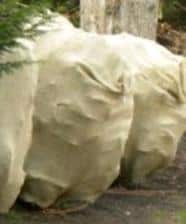 Burlap can get soaking wet and freeze under a covering of snow or ice, so leaving extra room between the plants and the burlap may help prevent damage to plants when the material gets soaking wet. If the drop in temperature is not as dramatic, let’s say your succulents have become acclimated to the cold and have become quite cold hardy, moving the succulent to a more ideal location or under a shade to protect them from the cold wind may be sufficient. If your succulent is in a windy spot, move it to a site that receives less wind to protect it from the cold. You can use whatever you have such as a chair or table. You can also put it under a larger plant or a tree. Depending on the amount of sunlight and wind, you can move your plants to a spot where it can receive the most sunlight during the day, and move it to a less windy spot at night when the temperature drops.This method only works for hardier, more cold resistant plants and if the temperature is not that extreme such as our winters here in California. You can also opt to set up a portable or mini greenhouse to protect your plants from the freezing temperatures. This may seem like a no-brainer to many but I made the mistake of purchasing overly large containers online without checking the dimensions carefully. I was happy with the size of the container for the purpose I needed it for, but after putting potting mix in, some pebbles, sand, and the plants themselves, the whole thing weighed a ton. This plant container is not only too heavy to be carried around, but also too big to be brought inside the house for the winter. If you are planning to move the pot around or to bring it inside for the winter, make sure the pots you are purchasing can be easily moved around and is the right size to be placed inside your house. Plants planted in ground need to be potted to be moved indoors. Placing plants in containers make it easier for them to be moved to different locations as needed. Before bringing the plants inside, clean the plants of debris and dirt it has collected from being outside. My plants always have little twigs, pebbles and grime when left outside. You can wipe the dirt off the leaves and pull out any unwanted stuff that may have accumulated on your plant. Cleaning your plant when you bring them in helps them along the process of photosynthesis. Bringing your plants inside may already subject them to less sunlight, and having a dusty plant may block more sunlight from getting to your plant. You can use water and a washcloth to gently wipe off dust from the leaves. Removing dead leaves and other debris makes the plant healthier overall and improves their appearance. Before bringing them in, it is also a good time to check for any insects or pests hiding in your plant. This is why cleaning your plant is a good idea, it helps to see what is lurking behind those leaves or under dead dried leaves. If you find insects or pests inhabiting your plant, or even if you just suspect pest infestation, deal with the problem before bringing them in. You do not want to infect your other indoor houseplants and have the problem spread to your other plants. Pest infestation can quickly spread from plant to plant. Sometimes, a good spray from a garden hose may get rid of the insects crawling on your plant. But if the pests have taken up residence deeper in the roots, you need to clean the whole plant from the roots and repot your plant. A quarantine period may also be a good idea to ensure not spreading the problem to your other houseplants. One of the major concerns with keeping succulents indoors is adequate lighting. It may be challenging to get adequate lighting for your plants when you bring them in for the winter. Having been accustomed to outdoor lighting, your plants will also need to receive enough light indoors. Find a sunny or bright location in your house. You want to find the brightest window in your house. A south facing window usually provides the brightest sun. If your house does not receive adequate lighting throughout the day, consider using artificial light or grow lights for your plants. If you use indoor heating, adjust your thermostat to provide cooler night temperatures around 65⁰F (18⁰C). Try not to keep indoor temperatures too warm for the plants and provide cooler temperatures during the night. Heat can also dry the atmosphere. Plants near the vent or heat may dry out faster. Most succulents do not mind the dry atmosphere, but if your find the indoor heating too drying for your plants, placing a humidifier or a pot of water near your plants will help provide some humidity in the air. As a general rule, you do not need to water your plants as much as you did in the warmer months. Water sparingly and check the soil for moisture before watering again. Make sure the plant is dry before watering. When overwintering plants indoors, avoid fertilizing. Succulents are not actively growing during winter and do not need to be fertilized. Can frozen succulents be revived? It depends on the extent of the damage. If the plant has suffered through a frost, damage to the plant can be seen on the outside, but what’s going on inside is harder to tell. Resist the urge to pull out damaged parts right away. Wait for about a week or more then inspect the plant for damage. Gently pull out dead leaves or damaged parts that easily come off. Use a sharp knife that has been disinfected with soap and water or rubbing alcohol, and cut off damaged parts that look soft or brown. Clean the knife between cuts. Remove all tissue that looks damaged, soft, or has brown in it. If you see plenty of green tissue, or signs of new leaves and growth, the plant is not damaged to the core and is salvageable. Place the salvaged plant away from the sun and avoid watering. After a few days, you should start seeing the plant callous over where you have cut the damaged parts off. The plant will start to heal slowly. Continue with normal care once the plant is completely healed and calloused over. However, if the core is damaged, or mushy and black at the base, then the plant can not be saved and there is nothing much you can do to revive that plant. Once winter has passed and your region is safe from frost, you can start preparing to move your plants back outdoors. 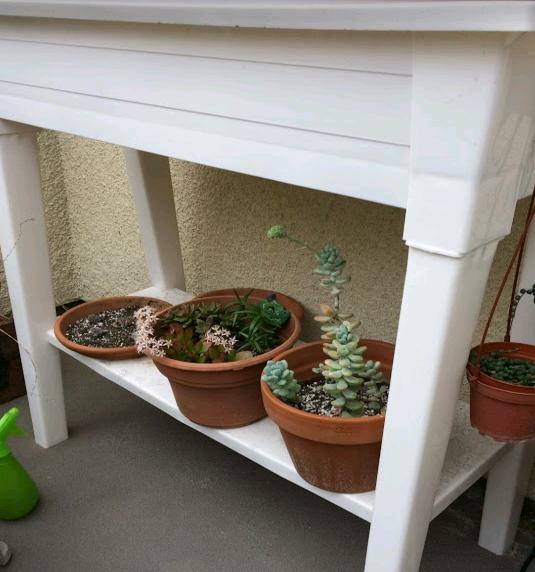 Moving them outdoors are beneficial for your succulents. They get better light exposure outside, and they will also appreciate the fresh air and rainwater. When you move your plants outdoors, slowly acclimate them to the more intense outdoor sun. Having been accustomed to being indoors, they need to be slowly introduced to the bright outdoor sunlight. If you place them directly under the sun right away without protection, your plants can get sunburned and smaller, more tender plants can suffer and burn to crisp. You can slowly acclimate your plants outdoors by slowly increasing the amount of sunshine they receive over a couple of weeks. You can place them under a shade first, or partially shaded area and slowly move them to a brighter location. Certain plants do better in full sun and certain plants need to stay partially shaded all year. Smaller and younger plants need to be protected from full, direct sun and need to stay in a partially shaded location. As you move your plants, keep an eye out for problems that may arise. If you see that they are not doing well in a particular location, move them to a different spot. If they start showing signs of sunburn, that means the sun is too much and you need to move them right away or protect them from the intense sunlight. If you start seeing signs that the plant is not doing well such as discoloration or stretching, it means the plant is not receiving adequate light and needs to be moved to a sunnier location. After winter, as the temperature rises and days get longer, your succulents will also start growing more rapidly. Watering needs will change outdoors. As the plants start their growing period, they will also require more water. Increase watering but make sure not to overwater your plants. Make sure the soil is completely dry between waterings. During spring, you will see new growth on your plants and notice your plants growing more rapidly. This is a good time to feed your plant and to fertilize. 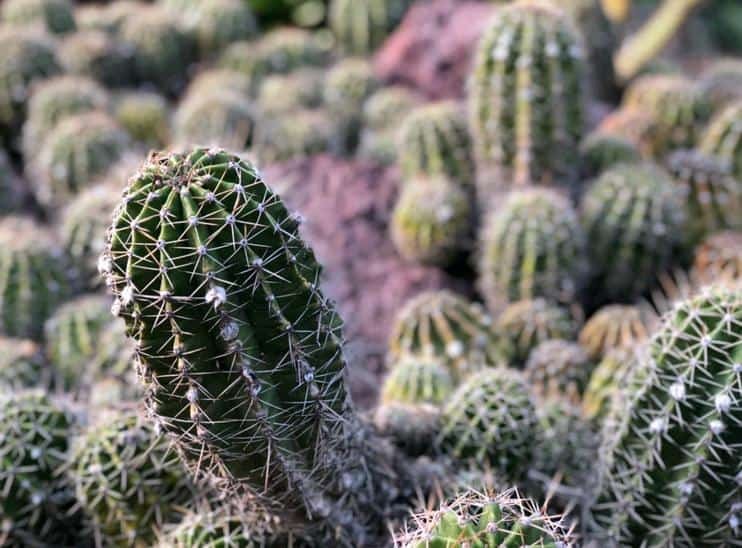 During the growing season, use a balanced fertilizer designed for cacti and succulents and feed regularly as per instructions.